EMOH2016 | EMOH-HOME DESIGNERS INC.
To demo and remove all kitchen cabinets and haul away from job site. To demo and remove all kitchen flooring materials and haul away from job site. To demo and remove the damaged/moldy sink base, faucet, drain and counter top and haul away from job site. To demo and remove existing bi-fold door and wood trim and haul away from job site. To demo and remove any damaged/moldy underlayment and haul away from job site. To mitigate mold with a mold mitigation fogger. The Concrobium fogger is an ideal way to apply Concrobium Mold Control, a proven mold fighting solution that effectively eliminates, cleans and prevents mold and musty odors without any harmful chemicals. The fogger atomizes Concrobium Mold Control into a fine mist that quickly and evenly coats surfaces to eliminate existing mold and prevent mold growth. We used Concrobium Mold Control, it is a patented solution that effectively eliminates and prevents mold and mildew without bleach or harmful chemicals. It can also be used to get rid of musty odors. The product works as it dries by crushing mold spores at the roots and leaves behind an invisible antimicrobial shield that prevents future mold growth. Use Concrobium Mold Control for mold and mildew clean-up and prevention, general interior maintenance, water damage restoration and during construction/renovation (paint prep and pre-treatment of building materials). It works great on hard and fabric surfaces such as drywall, wood, composite wood, plastic, concrete, siding, shingles, metal, brick, stone, tile, grout, stucco, fabric (sports bags, clothing), furniture, upholstery, flooring, rubber (front load washing machine gasket) and more. Works on drywall, concrete, wood, masonry, siding, shingles, stone, grout, plastic, tile and many more surfaces. After mitigation was complete we covered the area with a protective paint surface prior to drywall. 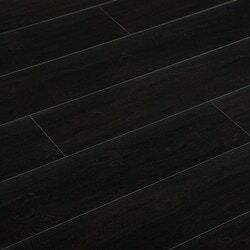 This flooring woulb be around $2,500 – $2,750 total costs only!